How did nineteenth-century poets negotiate the complex interplay between two seemingly antithetical modes—lyric and narrative? 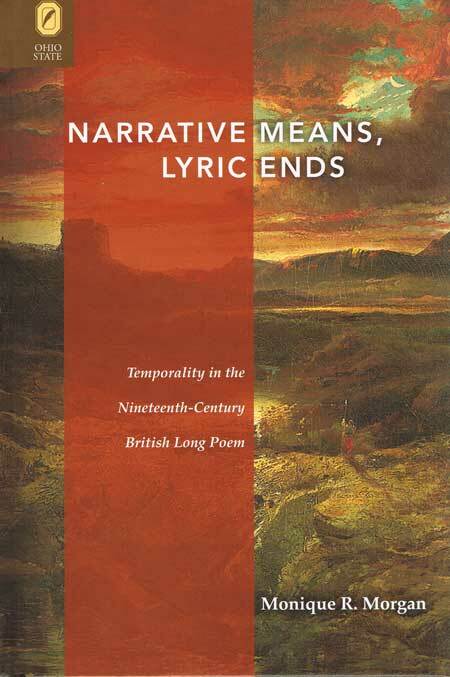 Narrative Means, Lyric Ends examines the solutions offered by four canonical long poems: William Wordsworth’s The Prelude, Lord Byron’s Don Juan, Elizabeth Barrett Browning’s Aurora Leigh, and Robert Browning’s The Ring and the Book. Monique Morgan argues that each of these texts uses narrative techniques to create lyrical effects, effects that manipulate readers’ experience of time and shape their intellectual, emotional, and ethical responses. To highlight the productive tension between the modes, Morgan defines narrative as essentially temporal and sequential, and lyric as creating an illusion of simultaneity. The poems reinforce their larger narrative strategies, she suggests, with their figurative language.